Sales of the 2012 Honda Civic appear to be stalled, with the Japanese automaker reporting this week that October sales of the Civic were down 2 percent. Honda tells Inside Line that it's not because the redesigned small car, which debuted with much hoopla at the 2011 New York Auto Show, is not resonating with buyers or needs better direction with advertising or social media efforts. The Japanese automaker says it's because dealer inventory is "virtually zero" due to natural disasters in Asia, including the Japan earthquake and tsunami in March and recent flooding in Thailand. "Dealers can't sell cars that they don't have on their lots," said Gina Jorge, assistant manager for American Honda Motor Co. public relations in response to an e-mailed query from Inside Line on Thursday. "In fact, most dealers are selling Civics nearly as fast as they receive them." On November 1 Honda said Civic posted October sales of 16,173, down 1.9 percent from the previous October. 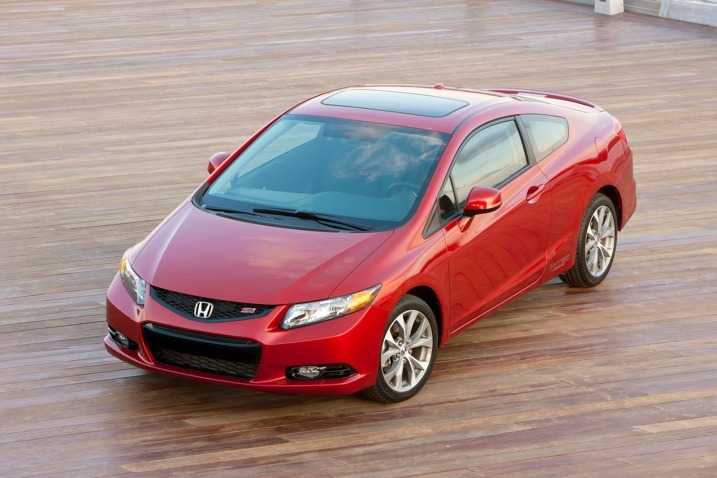 It sold 480 units of the 2012 Honda Civic Hybrid, a decline of 24.7 percent from the previous October. Honda reported year-to-date Civic sales of 183,557 versus 215,393 in the same period in 2010. But it is unclear how many of the 183,557 were 2012 Civics. The various models of the 2012 Civic have been gradually rolled out this year. The sedan, coupe and hybrid versions debuted on April 20; the Civic HF debuted on May 10; the Civic Si coupe and sedan debuted on May 24 and the Civic Natural Gas model debuted on October 18.